I made some more progress this week on my Monty Python themed SAGA army by completing one point of Hearthguard in the form of The Black Knight(s). These are conversions from the Fireforge Games Teutonic Infantry plastics. I recast the same helmet several times as there was only one in the box that was to my liking, and added some green stuff where his (their) limbs used to be. The boars on the tunics are custom decals that I printed from artwork found on the web. The current tally is now two points down, two to go. These have been sitting on the worktable for quite some time, and frankly were getting in the way, so I finished them up as quickly as I could. Same old same old – Vallejo acrylics and some shield transfers from Conquest/Flags of War. 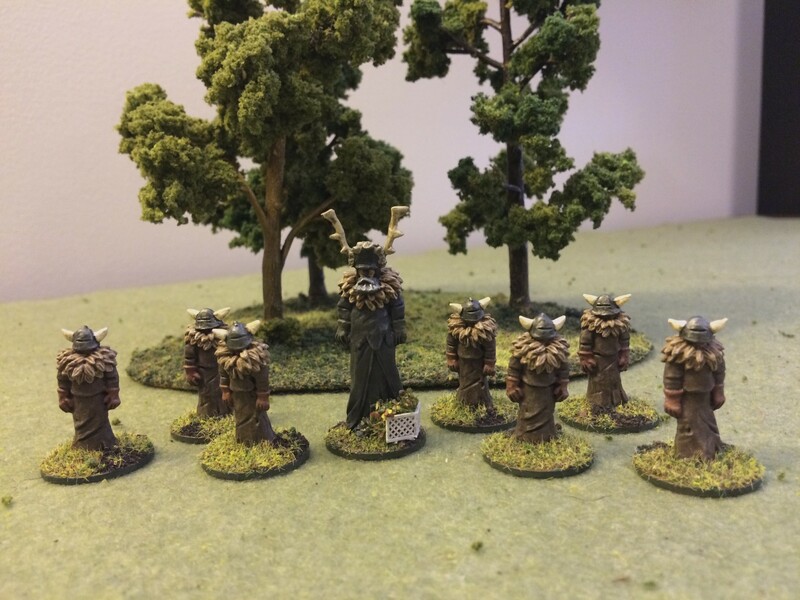 Monty Python Themed SAGA Army Part 2 – The Knights Who Say Ni! Continuing on with my Monty Python themed SAGA army, I completed one point of Warriors in the form of The Knights Who Say Ni! These are from Sgt Major Miniatures, and are simply titled “The Knights”. There has been a new development in the tournament since I started this project. We are now using 4 point warbands versus 6. I’m thinking that burning a point on a Priest won’t be the best strategy, so Tim the Enchanter may need to sit this one out. It looks like the tally is one point down, three to go. In late March my FLGS, Huzzah Hobbies, is holding a weeknight SAGA tournament. I’ve decided to participate by building a six point Monty Python and the Holy Grail themed Crusader army. The first completion is my take on Tim the Enchanter, which I plan on using as a priest. 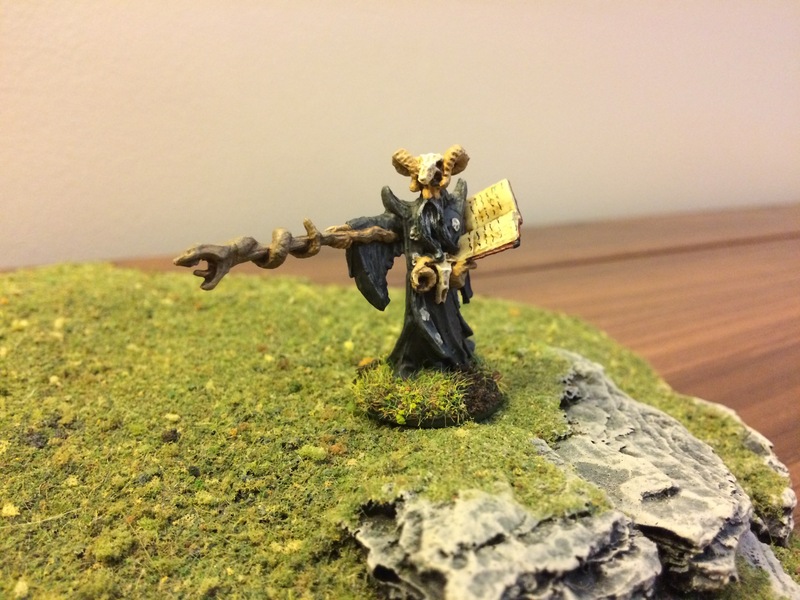 He’s Leisynn, Mercenary Mage from the Reaper Bones Collection. I really phoned in the paint job on him, but I’m a little concerned with the looming deadline. One point down, five to go.